Hey guys! Happy weekend! I've got a treat for you!! Oklahoma native indie-pop artist project Chloe Olivia have just unveiled their debut single Gilded and it is a wonder! 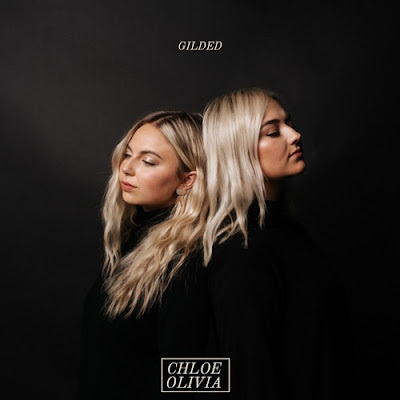 These two sisters, Chloe and Olivia Bray, combine beautiful piano keys with an electronic pop future vibe making the song very infectious with an anthemic vibe to it. And their vocals are so smooth and fit perfectly together! I got hooked on this soulful piece of indie/electropop ballad after the very first listen. Check it out below! Gilded felt like a fossil to us. It already existed, and we just had to uncover it. The song explores human nature, and how we often seek to gild our lives in order to appear golden to others. We live in an age where it is easy to create a façade for others to see. This song, in a way, seeks to expose that and encourage authenticity. If you're into acts such as Maggie Rogers, Lykke Li and Florence & The Machine then you'll love this awesome duo. Chloe Olivia are set to release another single this summer which will lead up to the release of a full-length album.